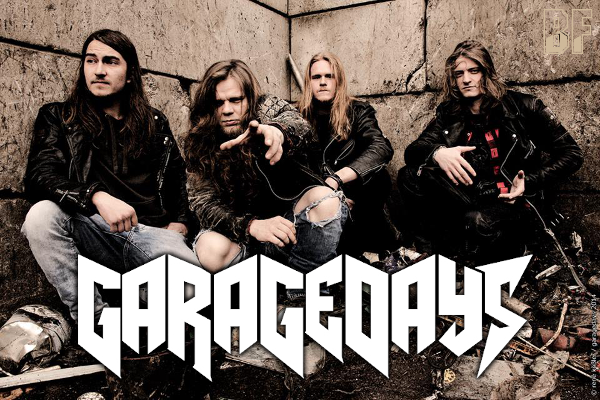 GARAGEDAYS is an Austrian Heavy Metal band and was formed in 2005 by frontman Marco Kern. After a few line-up changes, the band stands a stage with current line-up since 2008. Various demo CDs were produced and led to "Dark and Cold" which became the band's debut official release on Massacre Records in 2011. GARAGEDAYS went on an European tour with Death Metal legends MASTER for a promotion of their debut album. Following the success of the first album, the band has been worked hard with live shows and also supported bands such as EXODUS, ROTTING CHRIST, SIX FEET UNDER, to name a few. 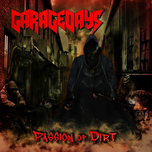 GARAGEDAYS went on their European Tour with Jake E Lee's RED DRAGON CARTEL in Belgium, Germany, Austria, Hungary and the Czech Republic this May and June to promote their new album "Passion Of Dirt" released on April 28th 2014. This new album was produced by PRIMAL FEAR singer Ralf Scheepers, and he also sang a duet on track 5, 8 and 9 of the album. Recorded, mixed and mastered by KING DIAMOND guitarist Andy La Rocque.